Pretoria - Ford has announced that it is investing R3-billion to expand production capacity at its South African manufacturing operations in order to meet growing local and international demand for its Ranger bakkie. 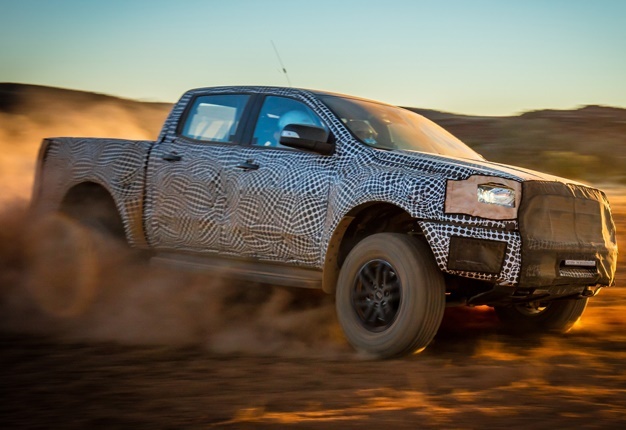 Along with the continued local investment, it has also been confirmed that the thrilling, first-ever Ranger Raptor will be produced in South Africa when it hits the market in 2019, introducing an entirely new level of off-road performance and capability to the one-ton pickup segment. "Looking further ahead, the expanded production capacity will ensure that we are geared up and fully prepared to respond to additional future market demands for the Ranger by ramping up our production even further," Berry added. "This significant investment reaffirms Ford's ongoing commitment to South Africa as a local manufacturer, exporter and key employer in the automotive sector, supporting a large number of direct jobs as well as indirect employment through our extensive supplier base." "The response to our announcement that Ford will be introducing a Ranger Raptor has been absolutely phenomenal, and we're exceptionally proud to now confirm that this highly anticipated performance model will be assembled in South Africa," stated Dr Casper Kruger, managing director of Ford Motor Company Sub-Saharan Africa Region. "This is yet another fantastic achievement for our local team, and signals our ability to produce world-class products of the highest calibre." Following the all-time record deliveries of 10 117 Rangers to local and export customers during September 2017, we delivered a total of 8646 units in October. This continues to secure Ford's status as one of the region's leading vehicle manufacturers and a global centre of excellence for the Ford Ranger programme.